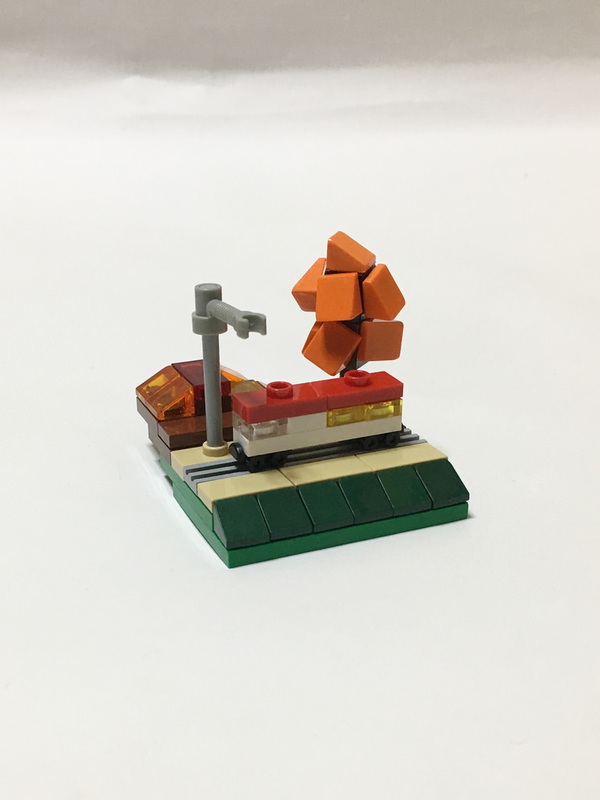 I’m always amazed at tiny microscale creations in LEGO. Sure, huge scale builds are incredible in how much detail can be crammed in, but that’s just as true for microscale builds. Take this train by piroshi lego for instance. I love the tree and the telegraph pole. You can just imagine the size of the train rushing along the track. It’s simple, but so well done.